Deciphering and qualifying for USGBC's LEED credits can be a daunting task. This document intends to explain how vapor barriers fit into the LEED equation, educate designers about how Stego® Wrap vapor barrier measures up when selecting below-slab moisture protection for green building projects, and outline the efforts Stego Industries makes at all levels of its organization to demonstrate its commitment to sustainability. Sustainable Sites: SS Credit 3 Brownfield Redevelopment (1 point) Points can be earned by selecting sites and/or lots recognized as brownfields. While Stego Wrap will not directly affect this credit, Brownfield redevelopment often requires special remediation to take place to prevent possible soil contamination from compromising the building envelope. Testing shows that Stego Wrap vapor barrier maintains an extremely low water vapor permeance in the face of exposure to many harmful soil gases often found in brownfield sites. Stego Wrap can be an integral component of an overall remediation strategy--see Stego's "Brownfield Packet" for more information. Energy and Atmosphere: EA Credit 1 Optimize Energy Performance (1-19 points) Stego Wrap prevents significant amounts of water vapor from entering the building envelope from below the foundation or crawl space. This reduced moisture migration can significantly decrease the latent moisture load and subsequent power required by the HVAC system to maintain indoor humidity and temperature levels. Stego Wrap may not reduce power consumption levels enough to earn a point or points under this credit on its own, but it can certainly contribute to an overall energy optimization strategy. Many variables are involved with energy optimization; please contact the Stego Industries Technical Department for more details on this subject. Indoor Environmental Quality: IEQ Credit 4.1 & 4.3 Low-Emitting Materials (1 point per Credit) Stego Wrap vapor barrier has an extremely low permeance to water vapor migration in line with the most current industry expert recommendations. These two credits require low VOC content adhesives and low VOC emitting carpets, carpet cushions, hard surface floorings and grouts to be used for interior applications. Unfortunately, low VOC flooring adhesives, such as water-based adhesives, and carpet systems are susceptible to moisture-related damage and microbial growth due to water vapor migration. Stego Wrap vapor barrier will protect low VOC adhesives and low VOC emitting flooring systems from moisture-related damage. 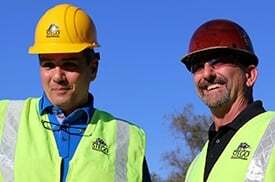 Materials and Resources: MR Credit 4.1 & 4.2 Recycled Content (1 point for 10%, 2 points for 20%) MRc4 provides LEED credits based on the proportion of recycled content to overall costs for building materials. A vapor barrier system's tiny cost--relative to the overall cost of the building materials--means it provides a miniscule contribution to this credit compared to major component costs, such as concrete or steel. Beware of any specific claims that a vapor retarder containing recycled content qualifies your project for this credit. Additionally, LEED MRc4 does not require all components to contain recycled content. Materials and Resources: MR Credit 5.1 & 5.2 Regional Materials (1 point for 10%, 2 points for 20%) MRc5 awards 1 LEED credit if 10 percent of materials by cost are extracted, harvested, recovered and manufactured within 500 miles of the project site, and a second point if 20 percent of materials are extracted, harvested, recovered and manufactured within this radius. 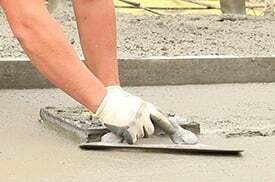 Again, because a below-slab moisture protection system represents such a tiny proportion of overall material costs, its contribution to this credit is negligible. Additionally, LEED MRc5 does not require all components to be sourced within 500 miles. 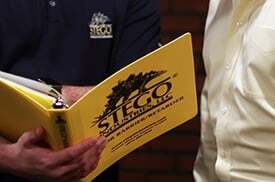 Stego Wrap vapor barriers and retarders revolutionized building practices by replacing polyethylene and visqueen-style products - which more often than not contain high recycled content -- that have proven to deteriorate and fail over time, leading to catastrophic floor failures, mold and moisture invasion, and poor indoor air quality. The superior performance of our products relies on prime virgin resins in their extrusion. We believe this is the most sustainable philosophy: developing products that will last the life of a building and protect its sensitive components. Stego Industries leads the industry in practices, research and development to advance our industry toward a more sustainable future. We are a pilot program member of the Health Product Declaration project to identify harmful components in construction products, among the Healthy Building Network's "Transparency Leaders" in our industry, and operate from a 100 percent solar-powered facility with an Executive Green Team charting a sustainable future for the company.